If there are two things I’m certain about in this life, it’s my steadfast opinion on the Oxford comma, and that Glass Animals has proven to be one of the most consistently interesting and innovative bands to come out of Oxford, England, in recent memory. With an undeniably unique sound that blends together the seemingly disparate worlds of indie rock, R&B, psychedelic pop, electropop, trip-hop, and electronica, the band has managed to find a home in nearly every music niche imaginable. Inhabiting such varied musical landscapes has since proven fruitful for the band, who in a matter of a few years have become festival staples that garner nearly three-million-monthly plays on Spotify alone. However, before Glass Animals was one of the busiest international touring bands, igniting pineapple bans and finding fandom for their genre-breaking sound in both hemispheres, they were a band out of Oxford, England, that was just getting their start. So, how did Glass Animals grow from Oxford-based band to a band spreading their unmistakable trademark sound on a global-scale? 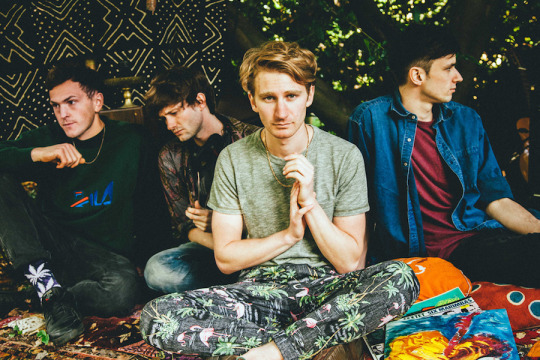 Well, before “Gooey” was forever stuck in heads, Glass Animals was Ones To Watch as their infectious and distinctive sound immediately found a home with us. Dave Bayley moved from Texas to Oxford, England, at the age of 13. He would quickly become close friends with Drew MacFarlane, Edmund Irwin-Singer, and Joe Seaward. Although the close-knit group of friends were by no means star students, often skipping out on class to smoke weed or catch gigs, they would end up launching the highly-successful, genre-defying band that we all know and love, Glass Animals. The quartet would stay close friends through college, or university depending on which side of the pond you’re hailing from, and would go on to officially form the band in 2010. It wasn’t terribly long until the band saw their first efforts bear fruit. In the same year of their formation, they would play both their first live show, at Oxford’s Jericho Tavern, and have their radio debut on BBC Radio Oxford. Two years later the band would release their debut EP, 2012’s Leaflings, under independent record label Kaya Kaya Records, an imprint of XL Recordings–a record label historically known for working with and releasing some of the most seminal records in U.K. history. Shortly thereafter the band would catch the attention of Adele’s producer, Paul Epsworth, who would sign them to his label Wolf Tone. Subsequently, in a move that may have not exactly pleased his parents, frontman Dave Bayley would drop out of medical school to fully commit to the band. 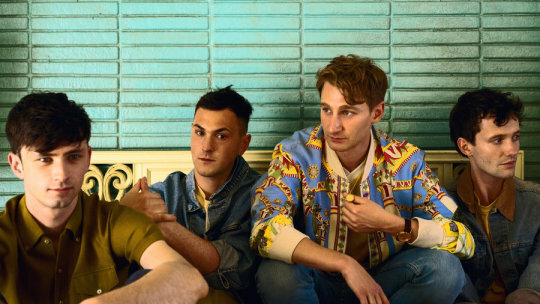 Glass Animals’ first two years as a band were without a doubt pivotal, but the following two years would prove instrumental for the Oxford quartet as a time period where they would both truly develop their trademark talent for ignoring conventional genre trends and bringing Glass Animals to the world at large. This period would showcase the earliest signs of Glass Animals’ future success, as they churned out singles in a range of genres, from their collaboration with Argentinian indie pop artist Tei Shi on “Holiest” to linking up with hip-hop artist Jean Deaux for the smoky “Woozy.” The latter act of collaborating with hip-hop artists would become a recurring theme in Glass Animal’s career, as seen on future collaborations with Joey Bada$$ and indie rapper Chester Watson. It was also around this time that the Glass Animals first caught our attention here at Ones To Watch with the release of the minimalistic yet complex “Psylla.” And like all the best-kept secrets, Glass Animals wouldn’t remain a secret for much longer. The release of Glass Animal’s debut full-length album, 2014’s ZABA, could easily be argued as the pinnacle moment where Glass Animals introduced themselves to the world at large. The hypnotic production, mesmerizing falsetto vocals of Bayley, and the beautiful lack of rigid cohesiveness that never felt alienating hit a heartstring with any who listened to it, receiving near-universal acclaim and a spot on our best albums of 2014. With the standout single from ZABA, “Gooey,” remaining stuck on repeat into the next year and years to come, Glass Animals made their late-night television debut on Late Night with Seth Meyers followed shortly thereafter by an appearance on The Late Show with David Letterman. The release of their debut album would also spark what would come to be a reoccurring cycle of nonstop touring. Indeed, the launch of the band’s aggressive 2015 tour made it seem like they had all along been hiding the superpower to play everywhere at once. In 2015 Glass Animals would play Coachella, Glastonbury, Bonnaroo, Lollapalooza, Reading Festival, Firefly Music Festival, St Jerome’s Laneway, and far too many other shows to mention. After visiting both hemispheres and playing over 130 shows in 2015 alone, the band had solidified themselves as a worldwide sensation in the matter of a single short year. In much the same spirit, Glass Animals would release their follow-up to ZABA, 2016’s H_ow to Be A Human Being_, which would to pretty much to no one’s surprise receive critical claim and chart across the world. At this point in Glass Animal’s career, it’s fairly easy to guess what happened next. Looking back, it’s almost comical to think of a time when Glass Animals weren’t constantly gearing up for yet another return trip to some far-off destination. But knowing Glass Animals now, as a Ones To Watch alumni with fans throughout the world, it’s safe to say it’s only a matter of a time before they’re making their way back to a city near you. July 29, 2016 Per usual, we’ve got your weekend soundtrack covered, which means all you have to worry about is finding your beach. August 5, 2015 Oh yes, they did. April 13, 2015 A handful of Ones To Watch artists got their moment to shine in front of a mainstream crowd at Coachella’s first weekend. Here are our highlights.